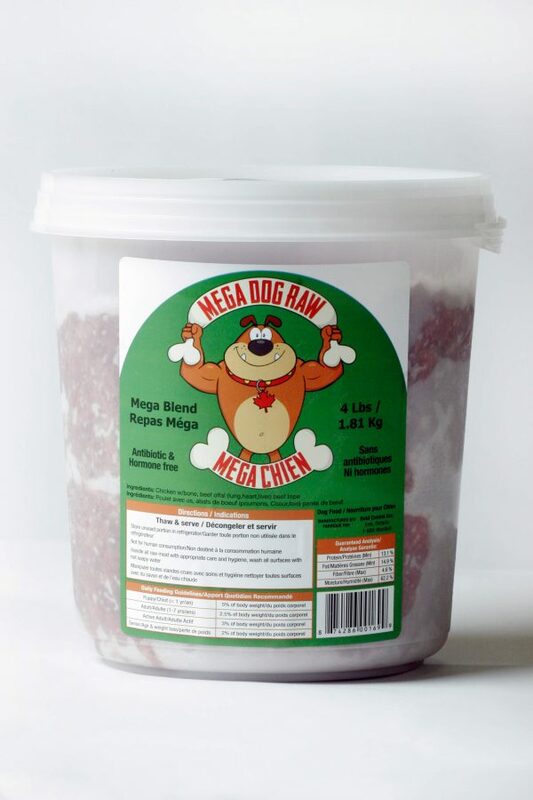 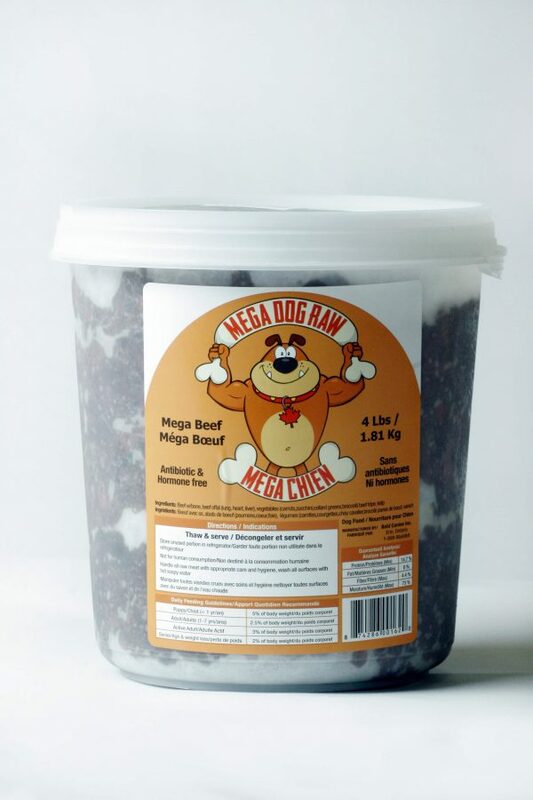 The Mega Dog is a tasty, nutritious and affordable raw dog food, offering a low glycemic option that meets the portion needs of a bigger dog. 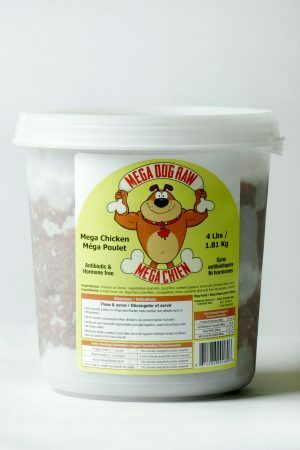 The Variety Pack contains 2 tubs of Mega Chicken, 1 tub of Mega Beef, and 1 tub of Mega Blend. Each tub comes in the 4 lb format, making it easy to scoop-and-serve at meals and resealable to prevent leaks in the fridge.